Haa-Chel once again graces our ears, with Nonaka leading the way. They vow to be even more energetic than last time, to be more pumped up than anyone else! Lately, it seems like a lot of things have been happening to the 12th Generation. It’s already been three months since 12th Generation was announced, neither of them can believe it. Time has just flown. Ogata brings up the fact that there are a lot of things that 12th Gen do differently from each other. Specifically, she is thinking of a situation where they had had a choice between using an escalator or an elevator to go down. Of course, they had agreed that the best choice would have probably been for all four of them to ride the elevator together, but when it came down to it, it turned out that the four of them couldn’t ride at the same time. Thus, Ogata and Akane rode the elevator, Maria used the escalator and Nonaka… Ogata can’t actually think of what Nonaka did. Nonaka takes over and says that on the specific day Ogata is thinking of, Nonaka had suddenly noticed that everyone was gone and… well.. she had taken the stairs down. Another example is that they’ll all use different ways to get places that they need to all go to. Because they use different methods, they often get to their destination at different times. Actually… everything about how they get to the same place is different. 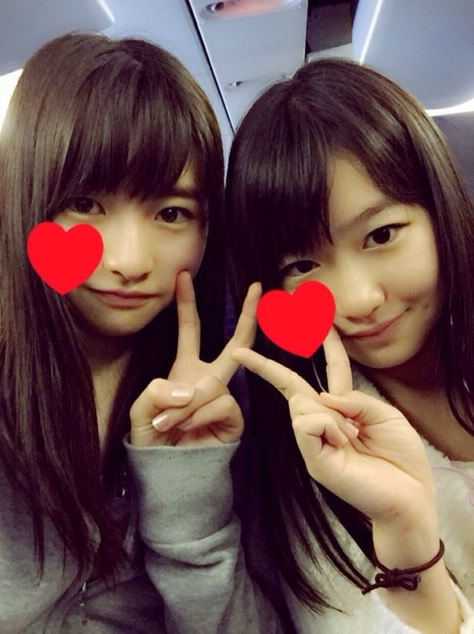 Ogata: We usually go by train. Today we have the return of Nonaka and Ogata, who vow to bring some energy to the radio show. 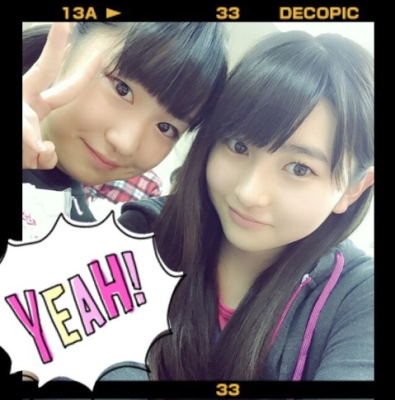 They are of course excited to be doing the show together, as Nonaka and Ogata apparently hang out a lot. They are known as Haa-Chel (from their nicknames Haa-chin and Chel(sea)). Akane has even mentioned that there is a lot of Haa-Chel appearing on their blogs lately. Since they are close in age, they get along really well and often get really excited around each other. Ogata then reminds everyone that tomorrow (2/2) is Maria’s birthday. Happy Birthday Maria! She is now officially only one year younger than the older girls. Of course, when they actually think about it… lthough Maria is technically one year younger, she always seems to be the older one. Song: Morning Musume ’14 – What is LOVE? Ogata repeats last week’s topic of the Hello! Project concerts, so now we can hear stories from the older half of the 12th generation. Ogata wishes everyone a happy New Year and the four hosts introduce themselves. Makino explains that starting this week, this show will be taking over from Sayashi’s RIHO-DELI. 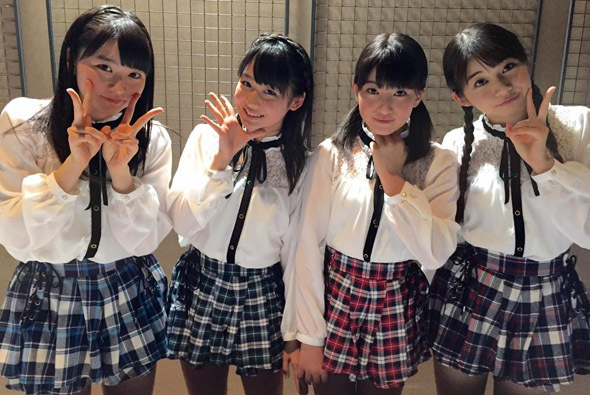 Nonaka states the title of the show once more and Ogata lets out a shy “yaaay!” that the other three aren’t eager to join in on. Makino had many other ideas for the title of the show as well — her suggestions included “Otsukarechan Sunday” and “12ki Land” — but she, too, ended up going with “12ki Nikki!” There was actually a vote as to which title each member liked the best, and everyone aside from Nonaka liked “12ki Nikki!” Her suggestion was “Jiyuu ni 12ki,” but when it was time for the vote, no one aside from her raised their hand for it. “That made me feel so empty inside,” Nonaka says. Since it’s the first episode of the show, the members take turns in properly introducing themselves once more and saying what they all think of their fellow generation mates. The other three all agree that Nonaka is the member in charge of owarai comedy — but only in introducing them to new comedy acts, not doing comedy herself. She knows all kinds of lesser known comedy routines which she loves sharing with the others. Ogata reports receiving links to owarai videos that Nonaka wants her to watch, and Nonaka says she does this to all three of them: she’ll send them video links without any sort of message to explain what it is — she simply expects everyone to watch them. Ogata is quick to announce that she hasn’t watched any of the videos sent to her.